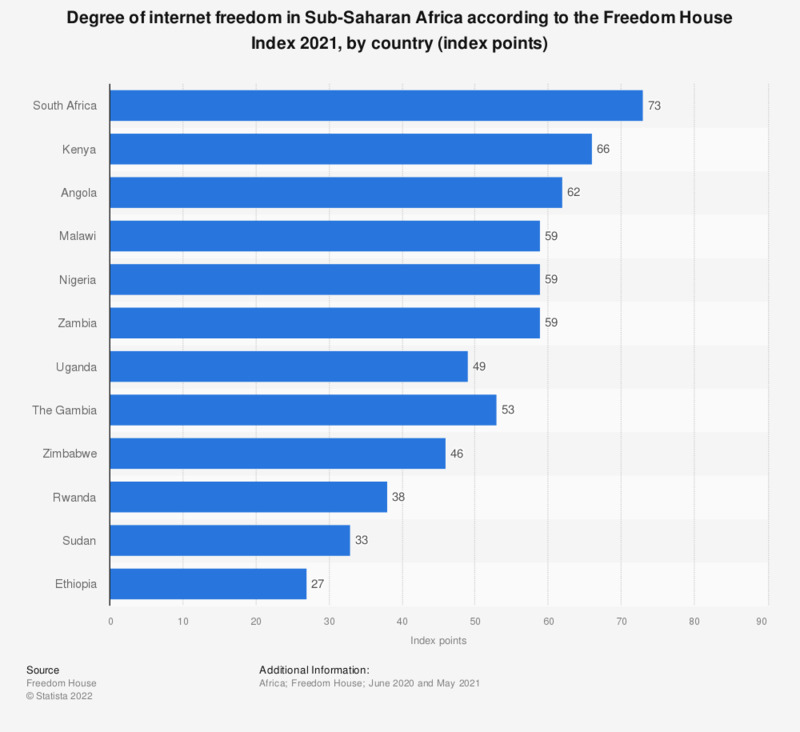 The statistic shows the degree of Internet freedom in selected Sub-Saharan African countries. According to the Freedom House Index, Sudan occupied the penultimate place in internet freedom with 65 index points in 2017. South Africa was ranked first with 25 index points. Ratings are determined through an examination of three broad categories: obstacles to access, limits on content as well as violations of user rights. What does it mean for you to live in a democratic country and what do you mean by democracy?